The Taoism Temple next to school. 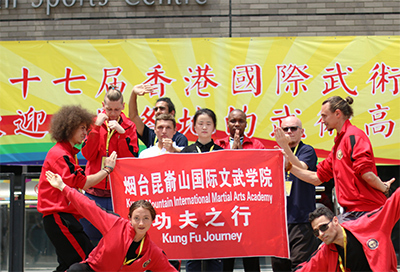 Our kung fu training school is at the foot of the sacred Kunyu Mountain and has been praised by past students as the perfect place to study Chinese martial arts. 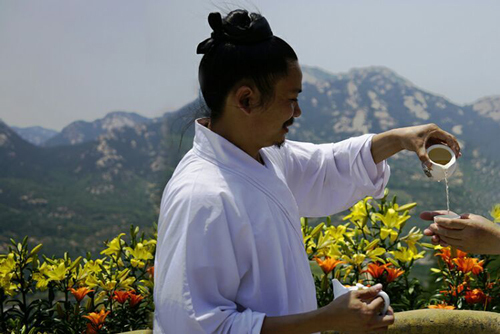 With deep culture and a serene mountainous landscape filled with masterful trainers, this protected area of natural beauty has become China's cornerstone of kung fu training. 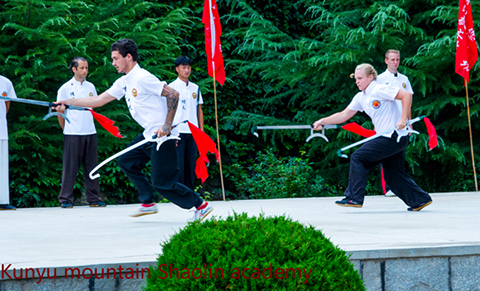 This natural beauty is surrounded by the benefits of the city and makes our kung fu school one of the most accessible Chinese kung fu schools surrounded by mountains. 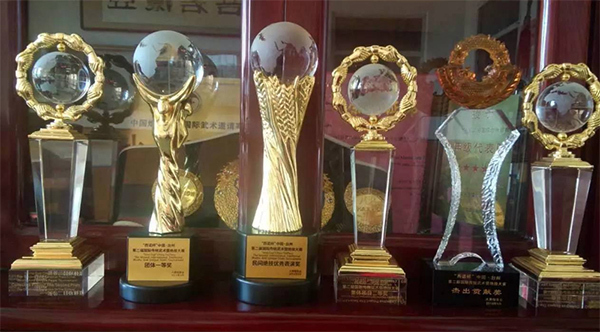 There are public tourist buses and taxis from our school to the center of Yantai City. Also, the nearest town, Muping District, is filled with modern conveniences like big supermarkets, shopping malls and privately owned stores. These nearby places give students an opportunity to shop for daily necessities and experience Yantai culture. A didicated cultivator in the Taoist Temple near us. 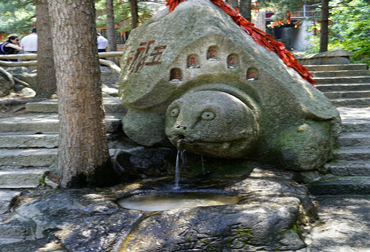 The Spring river and sacred Turtle of Health represented in Chinese culture. 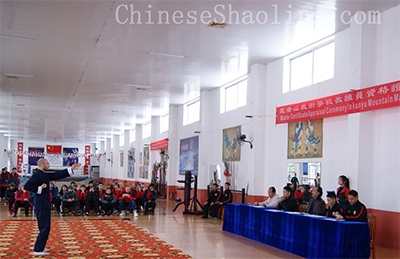 In addition to having peaceful nature nearby, the mountain our school is built on is near popular temples like Ma Gu Temple and Wu Ran Temple. 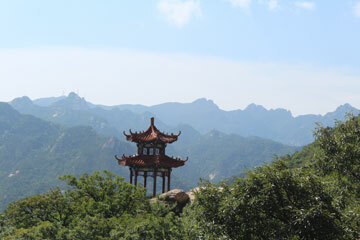 Other popular long-standing attractions like Yan Xia Cave and Nine Dragon Pool are also nearby. 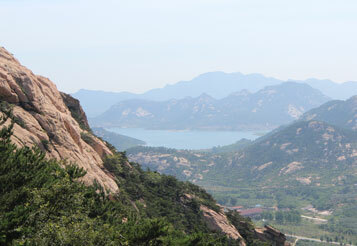 Amazing Kunyu mountain View with temple and natural Lake next to us. 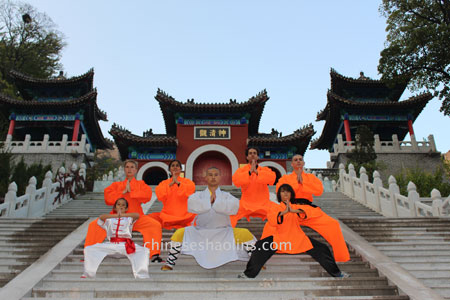 Best air quality to train Kungfu in Kunyu Mountain. 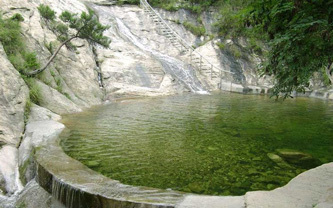 Nine Dragon Pool is located on Kunyus Mountain Northern sides having a steep cliff. 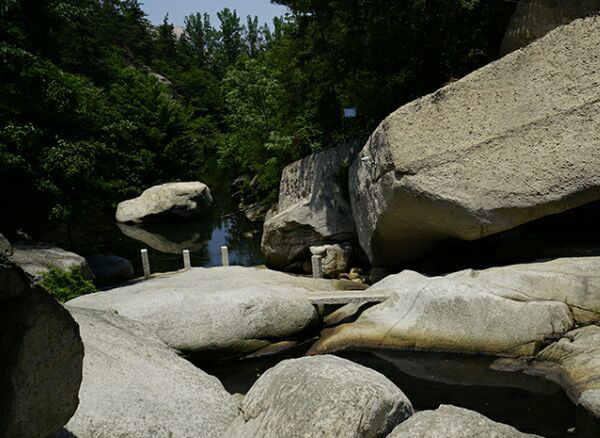 At the center of this cliff, you will get natural stone ponds, nine in total at different sizes. 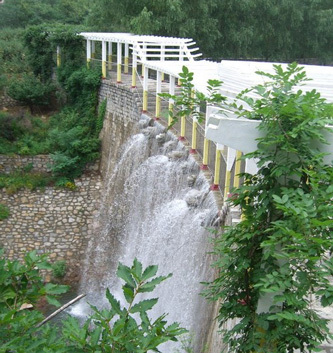 The largest pond measures 6 meters and at 3 meters deep. Looking like a dragon climbing the mountain. Looking at it, one thinks it is a dragon climbing a mountain. 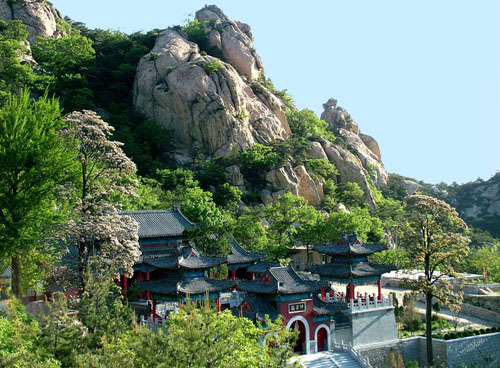 According to the history here, it is said that these dragon broke laws in heaven and was casted on the mountain. You can see the bottom on the pond because of the clean water. 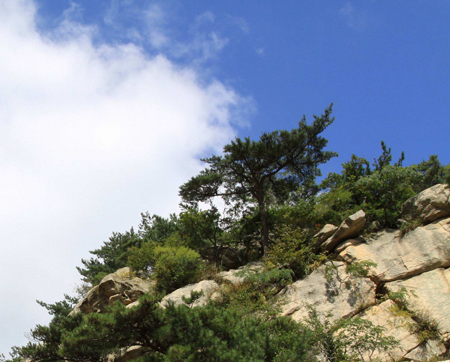 These nine dragons fall measures 1 kilometer high. 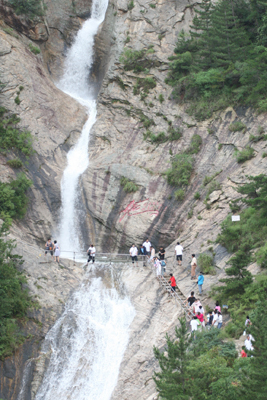 This is a rare spectacle of a waterfall in Shan Dong. 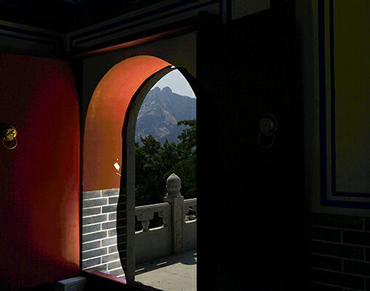 The main point of attractions to people here includes Dragon King Palace, Immortal stone, Heaven Pond and the nine Dragon Waterfall. 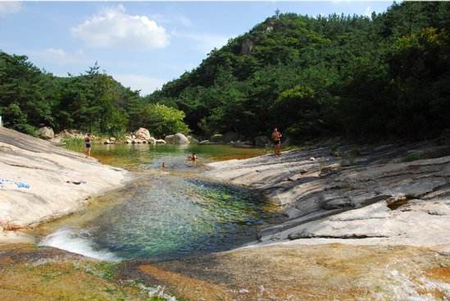 Nine-dragons pool On the north of Kunyu Mountain. 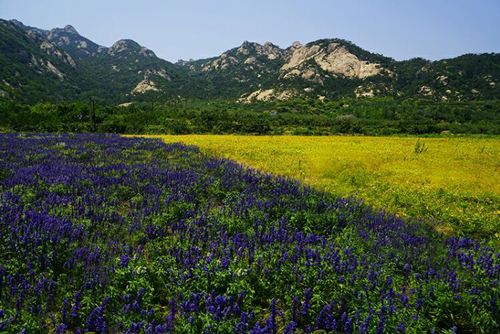 Yantai, the closest and most populous city near the Kunyu Mountain, has been considered one of the most strategically significant cities throughout China history. 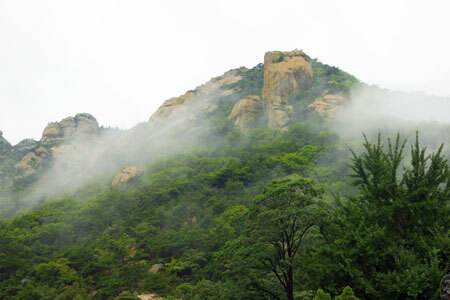 Since being one of the most significant cities the early ages and being called the "Black Horse in Northern China" for its economic success in the 1990's,Yantai's popularity and modern advancement has continued to soar.Located just far enough away from the city, Kunyu Mountain's beautiful surroundings support the training and spirit or our martial arts practices. 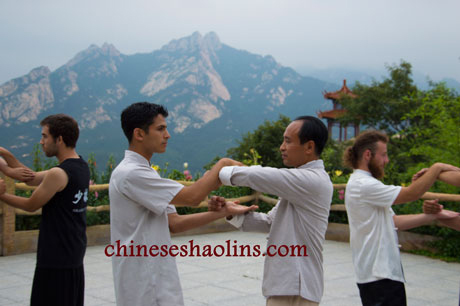 The nearby city's growth never interferes with our practice and the mountain air is as clean as ever. 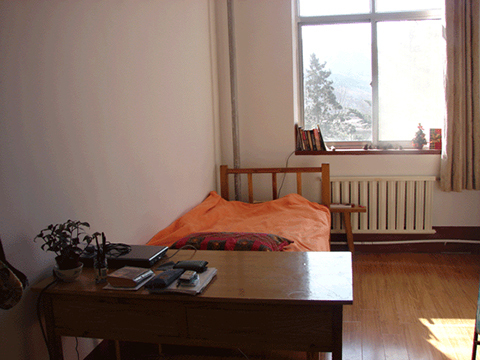 We can't wait to meet you in this relaxed, peaceful setting in Kunyu mountain China.